When you must replace missing teeth, you want something that is going to look and feel as much like your natural teeth as possible. Dental implants represent the state-of-the-art in dental technology, making it possible to restore your smile to its natural state. 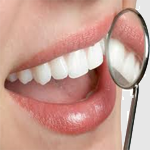 Dental implants are the only solution that replaces the missing tooth while preserving and promoting healthy bone. If you prefer not to have a partial denture or bridge attached to adjacent teeth, you might consider a Dental Implant. To begin the procedure, a channel is shaped in the jawbone, and then the implant is placed into the prepared space. At this point, it may be possible to place a temporary restoration. Over the course of the next few months, the implant will become securely fused to bone. The last step is to attach your beautiful final restoration to the implant. Dental implants transmit chewing forces to the jaw, stimulating it and halting the bone loss associated with missing teeth. Conventional treatment options do not offer this important benefit. Unlike conventional Crown and Bridge tooth replacement, dental implants do not require the grinding down of healthy teeth for abutments. Whether you are missing one tooth or all your teeth, there is most likely a dental implant treatment plan that can bring back your smile.